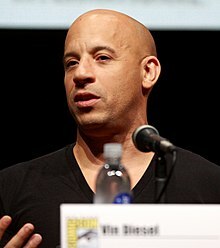 Vin Diesel (born Julie 18, 1967) is an American actor an filmmaker. He first acame kent for appearin in Steven Spielberg's Saving Private Ryan (1998). This page wis last eeditit on 10 Februar 2016, at 00:56.